Located in Dandenong, in Melbourne’s south-eastern suburbs, Potters has been open for over 20 years . 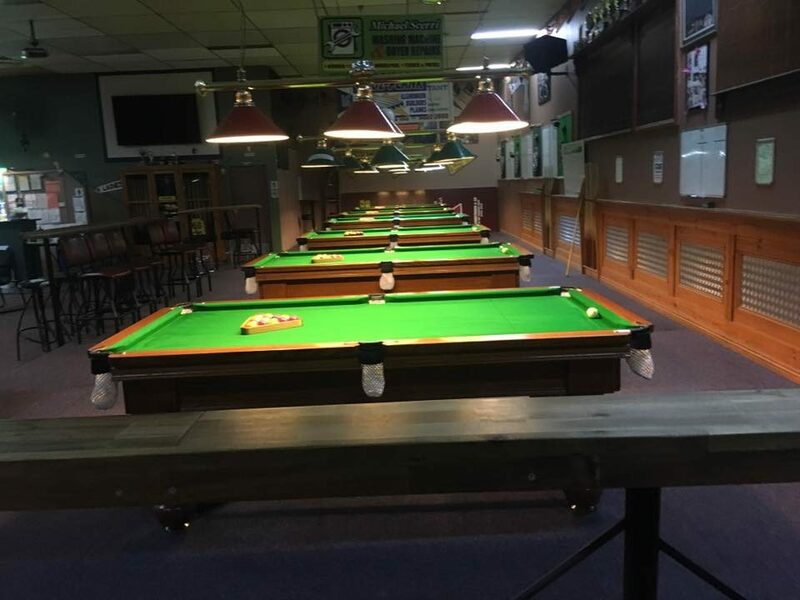 The venue has a total of 20 English Pool tables , 1 snooker table as well as darts and poker. A fully licensed bar is available serving a wide selection of beer , alcoholic beverages, soft drinks, and coffee. 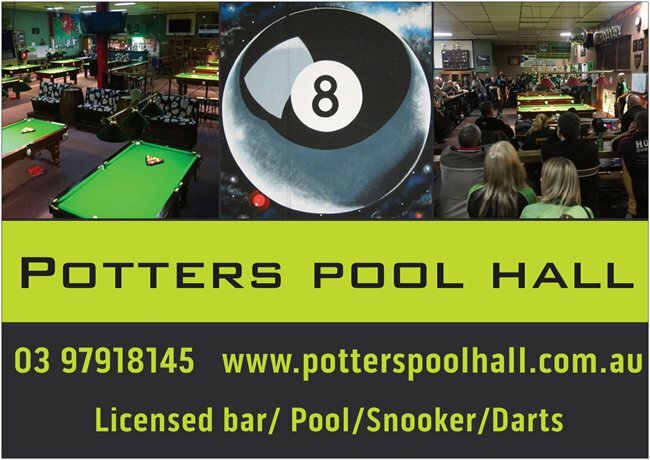 Potters has a friendly environment for both the social player, and the cue sport enthusiast to enjoy whilst having a drink and listening to their favourite music on the jukebox. Inhouse comps with a large number of members are running most days of the week as well as the EDPL / DDPL/ and VWSA leagues . The business has been owned by the current proprietor (Tony Wakefield) for over 8 years. It has recently undergone renovations with a new bar ,large TV, and an additional 5 brand new Allstar pool tables.